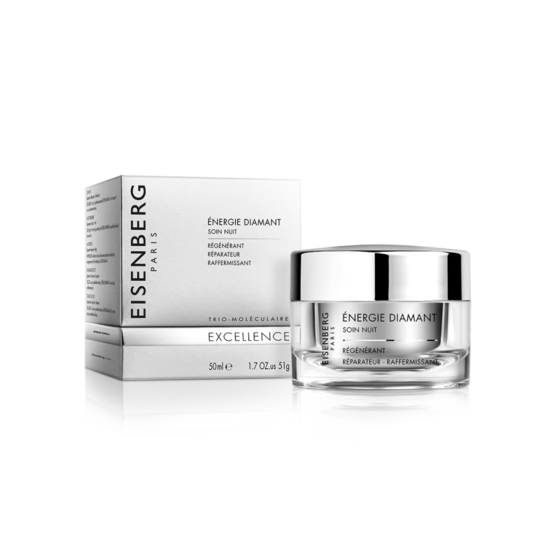 This highly performing, velvety night treatment regenerates and is luxuriously enriched with real diamond powder, that stimulates the micro-circulation, harmonises complexion and illuminates the skin. High-technology research into effective and innovative active ingredients for intense regeneration. 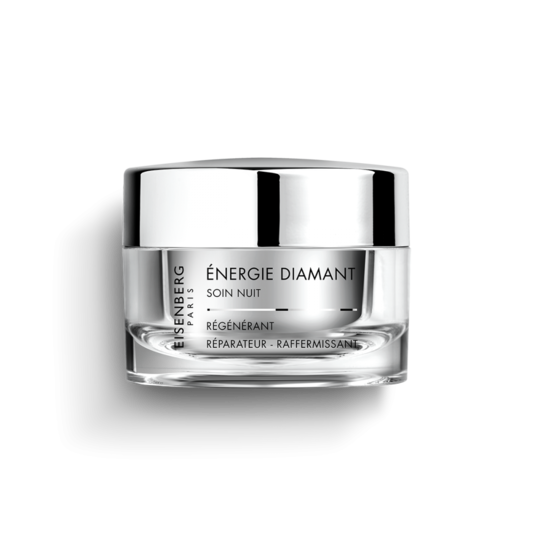 Apply in the evening, preferably after SÉRUM DIAMANT to a perfectly cleansed face and neck. An intensive repairing night treatment and a precious intense regenerator for the tired and devitalised skin. 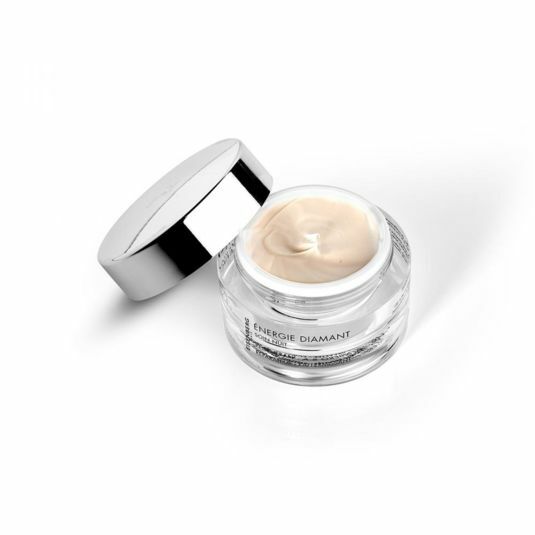 Regenerated, oxygenated and protected, the skin recovers its radiance and ability to replenish itself. Since the dawn of time, people have believed precious stones to possess magical, energising and therapeutic properties, capable of restoring harmony and balance in the body. An energy catalyst, micronised diamond powder has a positive impact on the skin. With its unique three-dimensional structure, it stimulates micro-circulation and improves the complexion. The Vegetal Complex Activator (Panax Ginseng and Gynostemma Extracts) is a unique blend of active components which combines the secrets of Chinese healing found in Ginseng and Gynostemma to protect and nourish dry skin. By contributing to higher oxygen levels in the skin, it helps slow down premature skin ageing and dehydration. It optimises micro-circulation and skin oxygenation, allowing the skin to breathe. It also protects cells from oxidative stress and provides damaged cells with the nutrients they need. This complex is composed of two Matrikins working in synergy to correct the signs of ageing. Considered to be true “wrinkle-killing peptides”, they activate macro-molecular synthesis of the extra-cellular matrix, intensively restructure and repair. In vivo tests demonstrate real anti-wrinkle effectiveness and a substantial improvement in skin elasticity.